… a creamy frothy foamy edging around a surging sea of flowers & wooly memories ! Can’t believe it’s taken me this long to present my ta-dah post. Well, I can finally strike it off my list. Although completed much earlier, I am entering this as my pinterest challenge again because it took me many searches through pinterest, many cloudy moments, many trials & errors to finally settle on what was the best or closest fit for what I wanted. 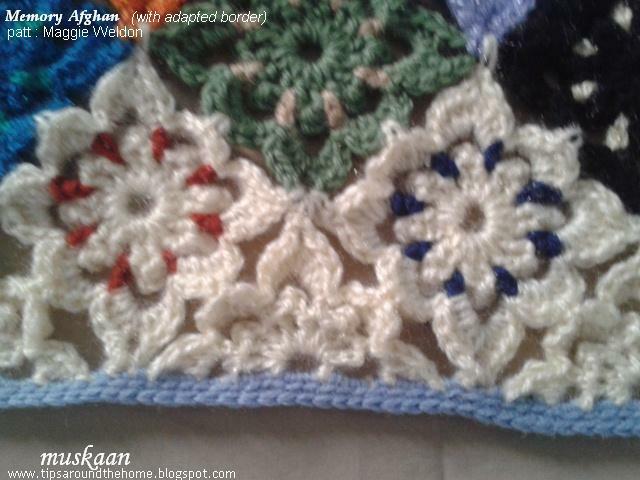 It is also the first time I have done something like this in crochet. My goal : Keep it simple, but keep the focus on the elegant curves & diamond points of each motif around the edge. When my earlier ideas didn’t quite work the way I would’ve liked them to, another option dawned on me. I had some strong advice to go with lighter shades for the border. Always heed to experience & wise counsel. Decided to make the penultimate round all cream, with only a touch of colour. This made work so much easier ! 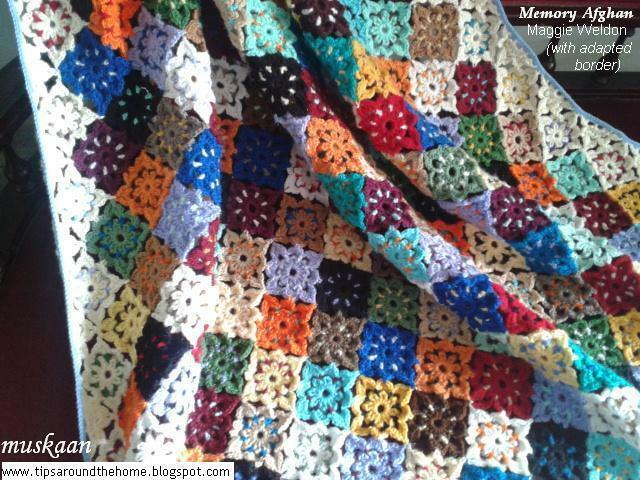 I could crochet Round 1 all together; then choose the colours & crochet Round 2 ; then the cream for Round 3, attaching on the go. This pic shows how much fun it was. Sorry, no pics for the finished penultimate round. I was simply enjoying the rhythm and it was too cold to arrange & take pics. Also, I had begun working at a frenzied pace, coz I had to knit leg warmers before I could get back to tatting (major withdrawal symptoms ☺) Or maybe I just forgot! Pics lower down give a fairly good idea of the penultimate round. As I neared the last rounds of the project, colour choices & combos became more of an issue. Choosing colour combos for specific area took a lot of consideration. Then remembering those choices! I hit upon a simple way. 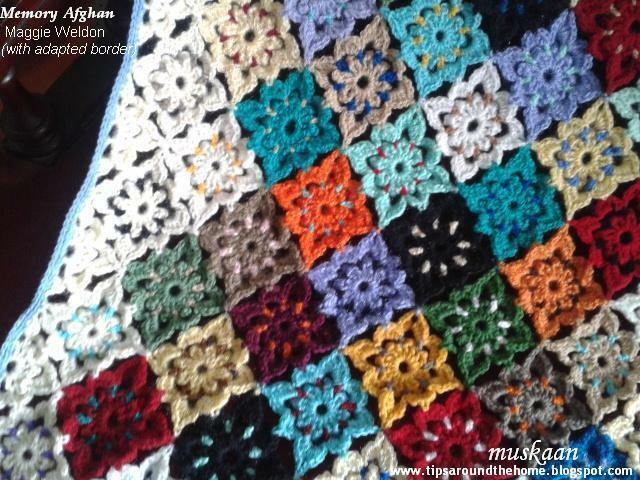 After selecting, I crocheted the 1st round & loosely attached it to the adjacent motif where I wanted it. Thus I could cover larger areas quickly & fearlessly, spreading out the shades as much as possible. By now I knew what was required – a cream-only half motif to fill in the triangular space. Never done it before, and didn’t want to have to cut after every single triangle. Solved it with a couple of trials. TIP : Always use the same yarn for final trial . 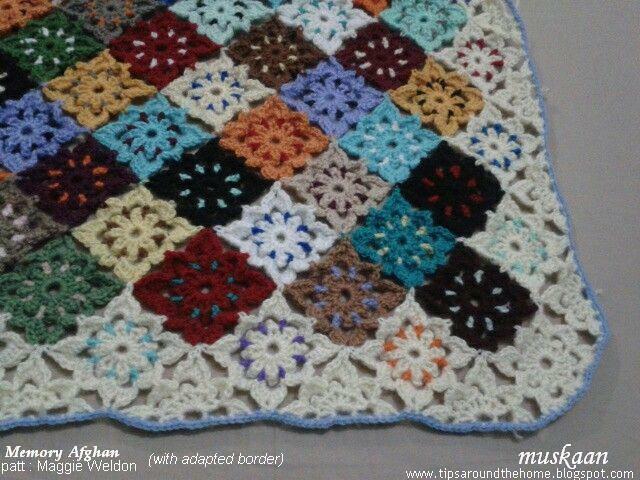 Then the last round was crocheted around, joining to the border, and continuing to the next triangle, all in one pass. After 220 motifs (not counting the triangles), each requiring tie & cuts & hides for each of the 3 rounds, this round was a breeze! I could finally crochet all the triangles in one pass !!! I slip stitched around the corner motif, continuing with the next side till it was all done. Large projects always require stops and starts over many days. 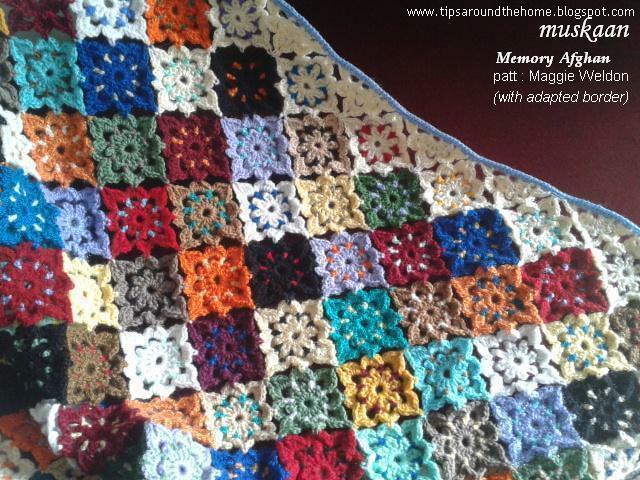 Crochet stitches are very easy to unravel – one tug by a curious child or pet, and a whole day’s work may get lost! Here’s what I do to avoid any accidents. Start to make a chain as usual but pull out a loop long enough to pass the entire yarn/thread ball through ; tension the loop just a bit so as to avoid snarls. That’s it. Even an accidental pull will only end up tightening the ‘noose’ into a stitch; it will never unravel the previous work. When one is ready to pick up the project again, pass the ball backwards out of the loop & continue as per pattern. I already delineated some of my tips on how to keep large projects clean when working over a length of time. I’ve always admired Lucy’s cheerful colour palette & wished I had those many colours/shades. Well, guess what, I did !!! This pic is only a slice – shades chosen from the already crocheted rounds. If I had the patience, the spectrum could’ve been much better. 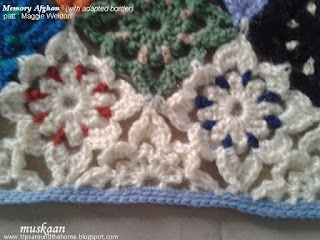 These motifs have the crochet hook inserted through their center. I had bought this beautiful blue shade just a few weeks back, and it was perfect to rein in the creamy foam of the sea of flowers. 2 rounds of slip stitch (I think). Pattern : Floral Fiesta Afghan by Maggie Weldon. 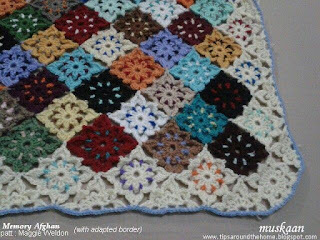 My immense thanks to her for sharing this pattern ! I enjoyed every bit , including figuring out a personalised finish ! It’s already in use and is adding such a fantastic splash of colour & cheer ! Although many colours appear same or similar n the pics, in reality, there are differences, and many more shades are visible than in the pic. Just one more pinterest challenge left for this year. Let’s see what the talented pin chicks have been up to this month …. Who knows when the beginning is and where the end. Who can be certain that the end is not the beginning. Who’s to say which is which. It’s all about perspective ! Like stairs going up or coming down ; glass half-full or half-empty ; or that a glass is never ever empty coz there’s always air in it?! Next, in my bloglovin’ feed, I was captivated by an image of love & affection and hopped over to read more. It was my first ever visit to this blog and boy, was I glad. A perceptive writing and mantra to view the world & live by. Are we starting or ending ?! Many of us use the knotless method to start tatting – tatting over the tails either in the same element or in 2 different elements. 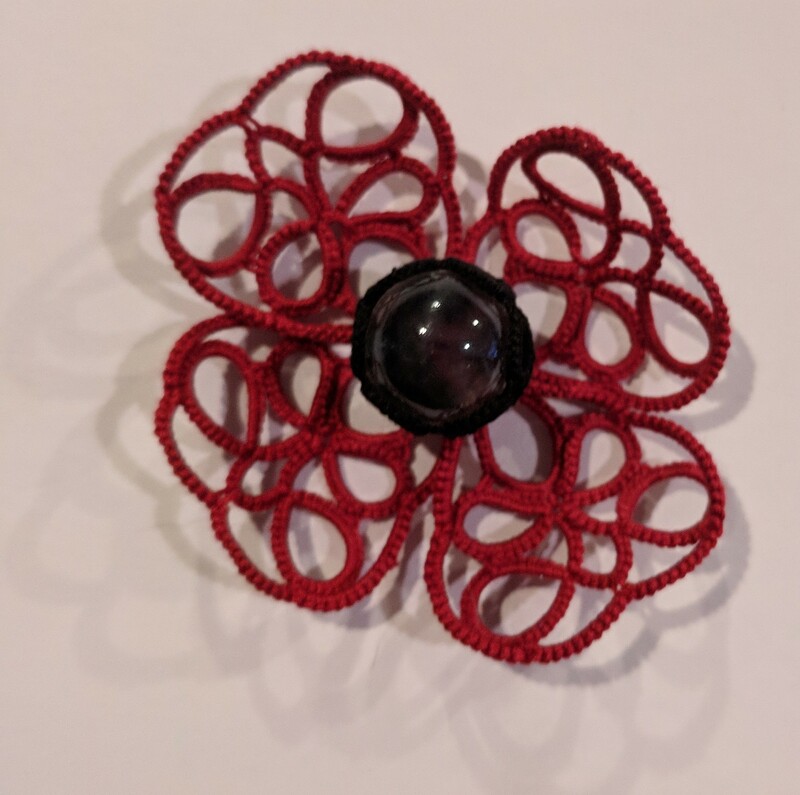 Long before I encountered the vibrant tatting community online, I had figured out a way to start knotless. It is Method 2 diagrammed by Jane here. It works beautifully & is safe despite any amount of handling. Conceptually the same method is recently demonstrated by Karen here. First-timers may find this easier to handle because the chain thread is inserted later. The very same concept can be applied when finishing off the round or piece, hiding the end tails without a knot. In response to Tim’s query, I had prepared a diagrammatic image & shared on Craftree, resulting in wholesome discussion. Those diagrams were done in haste, within minutes of reading the question. With time to review them, directional corrections have been made based on my TWoT diagrams. A Knotless Method of Hiding the End Tails. I do sometimes use an overhand tie before sewing under . Tatters might find it familiar. I’ve merely presented it as diagrams. But it doesn’t end ! Oh no, there are numerous methods of hiding ends, some may even be spot treatments under specific circumstances. More the merrier – we all learn and absorb differently! A Craftree discussion among varied tatters & tatting techniques on Hiding ends with good advice & tips. More links can be found (and customized by user) in Eliz’s Element-al Approach to Tatting ... Techniques including hiding tails in Cluny tatting, in Split Rings, etc. For quite a while I used Miranda’s finishing with SSSR. She highly recommends it for tatted jewelry. Frivole has another pictorial on the same method, hiding both core & chain thread ends in the last ring, one on either side. What is the basic necessity of a SSSR? A SSSR requires something to anchor & secure the loop which is used for working the latter half of the ring. 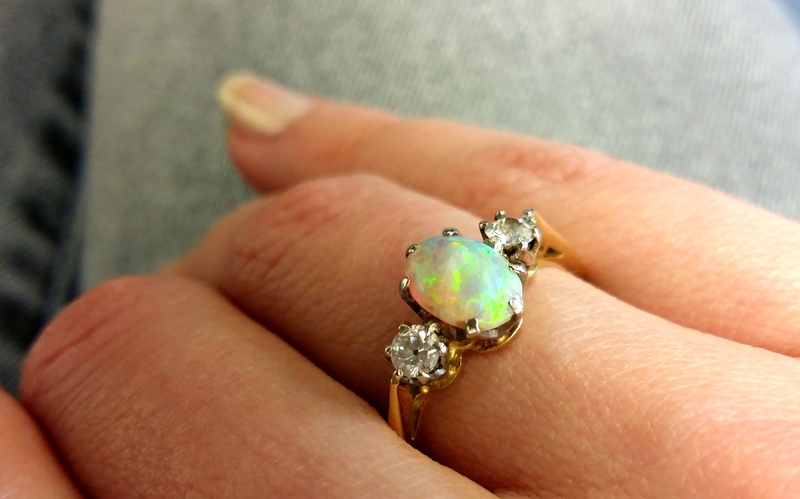 In case of unattached ring, it is the base of ring; this can be substituted with a thread or tail, that can come from different ‘sources’, and the method ‘tweaked’ accordingly. The tail could be from the first ring, or from a previous chain. Simple. Here are Frivole’s instructions on hiding ends in SSSR. I have often used this. In case of classic wheel (or the square motif pictured above) with BTS, leave a tail on the first ring. This is inserted into the last SSSR loop, before closing. Remember to leave the required BTS length while pulling it thru the SSSR. If one is fearful of unraveling, leave BTS with first tail, tie a tight knot between the 2 threads and then begin the SSSR. Limitations : if not pulled properly, the ring might distort ; ring should be large enough to hide ends – a minimum of 6 to 8 double stitches of loop tatting is ideal. TIP : There is one tip I can offer when tatting an SSSR. Always begin the loop tatting from 2nd half stitch (ie. in the middle of a double stitch). The loop seems to be slide more easily & smoothly when closing. Additionally, the end remains at the back of the work. This can pose a bit of a challenge as we do not want a double-up bare thread. Heather’s tatting pics make it very clear how to add new thread to a rings-only bare thread pattern, while hiding the earlier end tail, by tatting over tail. This Craftree thread discusses many methods, tips, and resources. Besides, the SSSR method can be used, as discussed in II.C. above, if pre-planned. What if we forget to leave the tail on first ring ? Tat the last ring normally. Leave BTS and using a needle, pass this tail through base of first ring, and sew the tail in the ring stitches. I have used variants of the SSSR method for a couple of years until whip stitching end tails took over since May of this year. I have totally stopped dreading sewing in tail ends and this method is easier on my eyes! Here’s a compilation of resources …. Carollyn’s Whip Stitching the end tails. This is the video that changed my ‘hiding’ perspective. 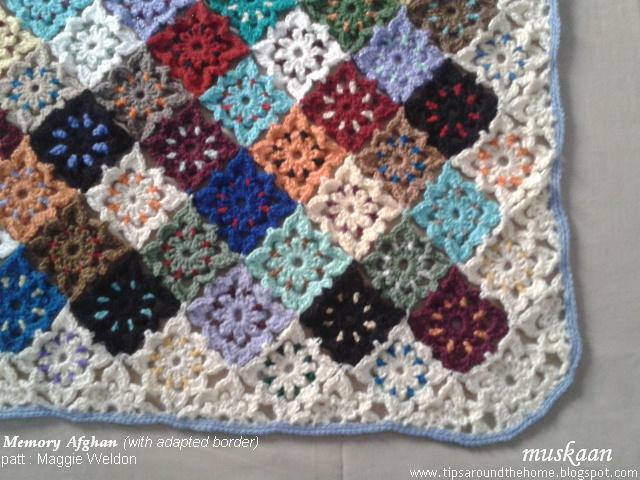 I have found this method very simple, quick, does not add bulk or distort, and can be used to hide tails in 2-colour or variegated thread projects – once the whipped tail is tensioned, the colour blips disappear (can you spot the sewn-in tails in the Square Motif above ? Jennifer Williams' diagrams on how to hide ends by sewing them in between the stitches. 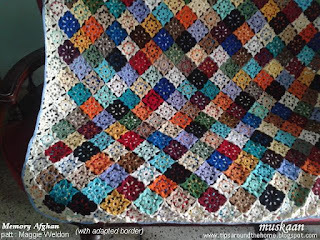 Jane Eborall's slight variation on Jennifer’s & Lily’s method – sewing within every alternate double stitch. Sharon’s method of adding in new thread is a tatted version of sewing under the caps ! I had followed Jon’s instructions on sewing under caps. As the term suggests, one can hide tail ends by tatting over them. They are encapsulated within the stitches. It is used when starting the very first element of a project or row/round, or when the shuttle/ball runs out of thread midways and we need to add new thread, or we need to correct a mistake. Gina Butler adding new thread using CTM shuttles, and taping both old tails(long) to shuttle and tatting over both tails (thus 3 core threads!). Reduces number of tails to hide, but preplanning required, as well as long tails, and it has the propensity to add bulk. In case of shorter end tails, one can tape the tail to the core thread itself and tat, as diagrammed by Cactus. Tatting & handling becomes easier. Ann Wilson also has a tip. I love to tat over tails. 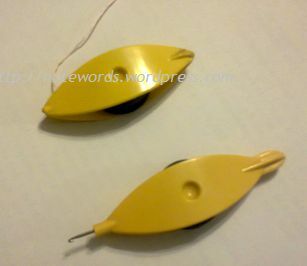 The first 2 starting tails are immediately taken care of – knotless, and no sewing ! It can be used to start absolutely any element - ring, chain, SR, SCMR, Cluny, ...(see V bleow). I hide the tails in different/opposite elements. After tatting over tails, I prefer to leave short bits at the beginning of work (as seen in the pdf diagrams & my WIP pics in many posts). It helps me keep track of the front & back side, and also ensures that no accidental unraveling occurs. Once the work is completed and all tails hidden, I tug at the short bits, just in case, and only then clip them flush. If one is tatting from the front side (DS), stop encapsulating the tail after a 1st half stitch. If one is tatting from the back side (RODS), stop encapsulating the tail after a 2nd half stitch. The reason will be clear if one observes the construction of each half stitch and where the core thread emerges. In 1st half stitch, the core thread emerges towards the back; in 2nd half stitch, it emerges towards the front. While tatting over a tail, since the tail is parallel to the core thread, the above rule applies. UPDATE (Aug 2017) : The above tip in pictorial pdf - Tatting over Tails - the Middle Path. Frivole shows us how to finish on a chain with no ends to sew in. Do you see the similarity with the SSSR method ? Yes, finger tat with a loop on a chain instead of a ring. For those who find finger tatting difficult, insert the loop into a shuttle & tat ‘normally’. Read more about my trials here - a few methods to hide tails when ending with a chain. This is another group of knotless ways to hide all tail ends – whether at beginning or at the end, without any need for sewing. It involves a bit of preplanning and additional material to make loops. The loops should be strong and as thin as possible to avoid loose stitches (or tat tightly), and unobtrusive. A few links that show up some little differences, allowing us to choose what suits us best. Crazy Mom used a floss threader back in 2009. Magic Thread/Loop by Dawne Marie - Comments at end of the post are equally enlightening. My short stint with MTT resulted in mixed results. Preplanning can become a habit. However, getting the right material sometimes becomes a problem. The loop (I used threads & dental floss) sometimes broke when pulling. The tug required enormous wrist strength. The loop can get in the way, if one is not used to them. If ending on a chain, there can be a risk of distortion if not pulled smoothly. With so many other alternatives, I did not go back to this method. Many tatters swear by this method. And then there’s the start ! One can’t have an ending without a beginning now, can one ?! Unless one begins with a continuous thread between 2 shuttles or shuttle & ball (CTM), one has to deal with ends at the start ! Annotating a few resources below. Tamie, in the Beginner class video, uses a floss threader to tat over tails. Edda Guastella has a nice pictorial for adding new thread to bare thread pattern. Charlene uses a weaver’s knot to add new thread in a mignonette pattern. Matthew Takeda method of adding new thread. Diagram. Combines tatting over new tail & magic loop to hide old tail in a bare thread single shuttle pattern. One must remember to encapsulate the new thread before tatting the ring. A similar video by squash8424 - Adding new thread to old thread. It is a good method if adding same colour thread or if tail length is very short. Conceptually the same as Mark's method, except for the 1hs made with old tail to secure. In both methods, I am a bit wary of hiding both tail ends on same side; along with the core thread, it makes 3 threads under a stitch, and can add to bulk & stiffness. Nevertheless, extreme situations may warranty such steps. Carolivy has shared two pictorials for adding new thread in needle tatting and clarifying problems. What is the ball or shuttle 2 thread needs to be added? Or it is chains-only pattern and one needs to add new thread? Or there is a mishap and spot treatment is required on a chain? The long and short of the tail, oops tale, it is that there is no one single method that is the best. It is up to the tatter to find her/his comfort method or situational method from this wide range of new and tweaked methods. One can use combinations or parts of two methods to take care of tails, as some of the links above show. 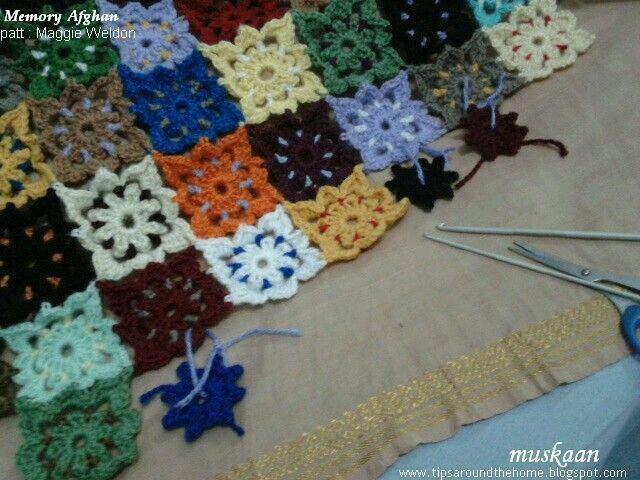 One can also use the same method to start a new project/row/round, to add new thread, and to hide old thread. Do you have one single go-to method to hide tails ? Care to share more tips ? More resources (Nov 29, 2016): Hiding Ends in a single ring pattern – Ninetta. This is an excellent application of Debbie's Magic Thread trick. ps - I will update my Resources page with a link to this post, instead of listing each & every one individually. ....so she's a designer?! wahoo! That's what the lovely Craftreans think, seemingly in response to the question posed in previous post. 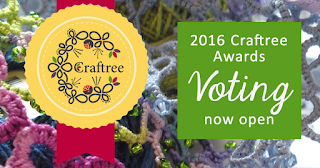 Or why else would my name be nominated to that category for the Craftree 2016 Awards. Well, I bow to their belief in my budding struggling attempts ; I still consider myself a learner/explorer and yes, a teacher. I was thrilled to have won the Best Tatting Tutorial 2015 Craftree Award last year !!! But this year, when the categories were announced, I didn't see myself or my work fitting in any. You can imagine my immense surprise & elation when I read Kersti's message ! While I float on Cloud 9 on my designation as a designer, I share a collage of some of my forthcoming patterns in my WIP bag - at least those that I can remember. Not to mention the countless sketches. Most in the collage are designed for the TWoT series. If you recognise any of the patterns as one you've come across before, by some other designer, please do tell. These have all come from my own sketches and working, but obviously some elements or combos are pretty generic and my Google & Craftree searches might have missed it. Click on the blue caption - there is no need to register. Take a few moments to check out all the other categories and nominations, too. I hope my dear known as well as the invisible readers and visitors will, however, browse through all six categories and all the nominations, and enjoy some spectacular eye candy. These are only ones that have crossed the first shortlosting threshold - there are so many talented tatters and creative projects that might have missed by very narrow margins. Please show your appreciation by voting for what/whom you like. and my very best wishes to all nominees. Couple of days back, Carollyn shared her Gamayun bird lady here, and mistook my avatar image as one, since only thumb nail images can be seen. This post shares larger images of some of my old artwork. It was my ink phase in card-making – mid-80s to early 90s. This is all original work. Hope you like it. Love to doodle when idle, when waiting? No art materials at hand ? What about only a pen and a paper ?! I like to doodle. I like to recycle. Combining both interests, I made these simple cards from materials that you can find in any office, or have in your own purse. A pen & a paper !!! Let imagination do the rest. Manila Folder (or stock paper), cut to desired size. Pencil, if required, for initial sketch. These are cards made from manila folders with a semi-soft beautiful texture when seen for real. A kind of handmade paper appeal. I have used Ball-point pens - red & black - to color the designs, taking care to keep the strokes in the same direction. There is an actual richness & depth of colour that may not come through, especially after so many decades ! I had this idea of creating my own brand of handmade cards and my logo read “Reaching Out” from this black silhouette. Many of friends and family received diverse handmade cards for several years and some well-meaning, overenthusiastic friends even bought some ! "Fluttering Dreams" was initially titled "Reaching Out" ; this card is a visual representation of the logo that I use on all my cards & was on my online profile till very recently. This is another quick card I made on an idle night. It measures less than 2x3 inches. You know the strips that get left out when we cut stock paper or any large paper into cards? These little cards/card toppers/tags were made from those leftover strips, folded. Notice how the strokes seem to form an enlarging circle from the center ? TIP : Trick to good ball point pen coloring is to keep your strokes in the same direction, and maintain even & steady pressure while coloring. However, if shading is desired, then alter pressure to get lighter or darker zones. This one in red, measures <3"x5"
In 2011 I had shared 4 of these card toppers on a site. That’s when I went on a christening spree. Collectively, I would title them "Reaching Out" - each image seems to show some kind of reaching out. You may notice the minimalism and some symbolism. I enjoy adding some meaning to artwork. Lightly sketch with pencil (or directly with pen) and outline with pen. Decide on the curvature you want for the background. Make concentric arcs/strokes at regular distance in the chosen direction. Choose small areas or blocks (between 2 arcs) to fill in at a time. This helps ensure evenness & control direction. It is important to keep direction constant. Maintain even and steady pressure while filling in. Gradually cover in the entire background. Add any necessary details within the image. Your silhouette ink profile is ready ! She could be someone who wishes to remain anonymous. She could be one who enjoys working behind the ‘screen’, spreading joy – someone who loves Nature and enjoys sharing. Continuing on the topic of ink, here's one last card. This is not a silhouette and neither does it use ball pens. I've used stippling with a fountain pen, using red & black inks. When I made this, I didn't even know the term was 'stippling'. What I like about this ink art technique is that one can make it Any time & Any where - all it requires is a paper & pen ! I’ve even double-folded A4 sheets and sketched on top. Those were quite well-received at the place I worked. Unfortunately, I don’t have any of those designs – mostly freehand flowers, twigs, etc.